On Friday 2nd November we will race in her memory and for the Francois Jacques Memorial Trophy, an annual event. Please register early to make our planning easier, and depending on the number of entries we will use one of two Plans. Plan A – up to 10 entrants. There will be three preliminary races. A low point scoring system based on finishing position will be used. One discard race will be allowed, and the combined points of the other two races will be calculated. The top 8 racers overall will be the finalists for one last race, and the winner will receive the FJ Trophy and his or her name added to the perpetual Honours Board. Plan B – over 10 entrants. Racers will be split into 2 groups, and each group will have two races. The top 8 racers overall, based on time, will be the finalists for one last race. The winner of that race will receive the FJ Trophy and his or her name will be added to the perpetual Honours Board. 2. It is easily obtained. 3. It’s easy to sail, yet competitive to race. 4. It’s a popular boat with SL sailors. CHARTS, the WIND & USB-programmed waypoints will be released 2 weeks prior to race day. A course has been specially designed for the race. It’s one that should bring out all the best qualities of competing skippers, yet also easy enough to be fun. As we want as many competitors as possible to enter, we will be using a wind with no hidden surprises. The overall winner will be awarded the Francois Jacques Memorial Trophy, and have their name placed on the perpetual Honours Board. The two runners up will also receive a trophy. Hughes Enterprises have graciously donated $L6000 for the First prize. Other sponsors are welcome to contribute additional prizes. We have created the two plans above to cover the eventuality of some people crashing. One crash does not mean an end to your chance of winning. Results of the heats will be announced promptly to enable the final to be held. We need your entries as soon as possible please, by notecard to either Gemma Vuckovic or Justin Blade in Second Life. Yikes. It’s been nearly two years since I’ve posted Handicap Hotlaps results, and that’s way too long! Since those 2013 performance numbers came out, a dumpster full of new ships were launched in SL, and it’s time for a Hotlaps update! Some sailors (anyway, at least six of you) may remember Hotlaps. It’s a format that lets skippers do solo practice runs and then then upload their lap scores to a simple online spreadsheet. The data lets skippers compare their personal lap times with those of other sailors. The combined lap times can also be used to set a ‘relative performance index‘ for the different boat classes in SL (at least under the ‘trial lap’ wind conditions). You can can read about the history of Hotlaps here and you can get the practical details about sailing a 2015 lap by clicking here. 🙂 At the moment, there are five different raceline locations where you can run a Hotlap, and each one has its own course: BREADNUT, KNAPTRACKICON, LINKOUS, SULU, and HEPURN. All you need to do is click the poster at the raceline to get details. The M-24 lap time is defined as a performance score of 1.00. A boat that’s twice as fast will get a performance score of 2.00, and a boat that’s only half as fast will score 0.50. In general, there’s good lap-time correlation across multiple skippers sailing on any single racecourse. There’s also a strong “Performance Factor” correlation across all the different Hotlaps racelines. These findings support the idea that hotlaps scores can be a useful parameter that predicts sailing performance for different boat classes (and sailors) on any race course in Second Life. The figure shown to the right is a summary that lists the average Performance Factors for each boat class sailed on all five race lines. The results aren’t too surprising. They show that the M-24 (PF=1.00) is a pretty speedy racer with lap times comparable to much larger boats, including the ACA33, Mesh Shop VO-70, WW OP-60, and even the Nacra-17. At the other end of the spectrum, it’s perhaps no surprise that a number of high performance ocean racers walk away with top awards as speed sleds on SL waters. As a class, they rank a good 15-20% ahead of the (already very fast) Melges-24. These big, super-speed machines include the Wildwind Wildcat-45 and OP-60, the Mesh Shop OD-65 and Cafe 75, and the RCJ-44. All these numbers and comparisons raise more questions than they answer. It will take more test laps and varying conditions to see how reliable these ratings are, and how generally they apply. I’m therefore pretty thrilled to see that Petra Paname and Bridget Beresford have each started their own versions of Hotlaps trials. It will be fun to compare the results with more boats, more sailors, more laps, and more race conditions! It may seem a bit early for Halloween, but who cares! 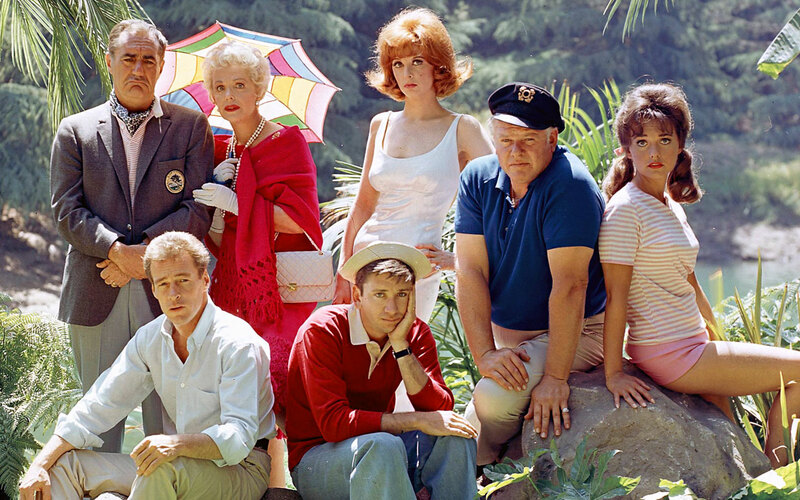 Admiral Chaos Mandelbrot is planning a Gilligan’s Island themed cruise for his LCC excursion on Tuesday, September 1 at 5:00SLT !! This should be fun!! So go grab your boatshoes and pick a good cruise boat; the fleet takes off from Sailors Rest in Blake Sea at 5PM sharp! (and no one’s left on the dock!). Come crew if you have no boat! Come as Ginger, MaryAnne, or Thurston Howell if you must! 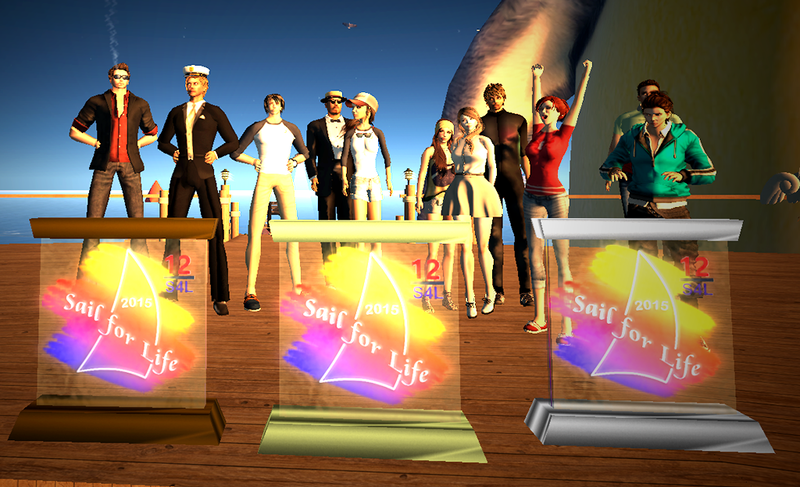 See you at Sailors Rest at 5PM SLT!